Can be applied to paper crafts, scrapbooking, card making, or use it. We will respond within 24 hours and give you a satisfying solution. Due to light and monitors effect, color difference may exist slightly. Condition:100% brand new Brad Colors: Mixed color (antique brass & silver) Material: Iron Brad size: 6mm in diameter Length: 10mm Quantity: 200pcs. Shipping Weight: 0.3 ounces. Material: Iron Brad size: 6mm in diameter Length: 10mm Brand Unbranded MPN Does not apply UPC 4894462653265 UPC 4894462653265. Mini brads make it easy to get attached, no tool required. Type: Brads. 100 x Brads(Mixed Color, Random). Features: Round, Mini, Colorful. Color: Mixed Color, Random. 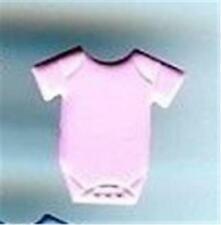 Size: 4.5 8mm. Silver Tone. I will give you a good solution. Normally you parcel will arrive smoothly. I will try my best to reply you no later than 24 hours, expect that we are off on weekends. Other country. Material: Holz. Der Stern-Scoressinduns sehr wichtig. Wir reagieren auf Sie und sprechen Ihren Punkt sofort. Check unsere erteilen konzentrieren, werden Sie finden uns ist ein ehrlicher, zuverlässiger Verkäufer! Special designedmini brads with split pins. 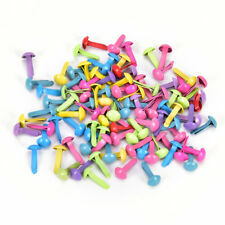 200 Pcs Mini Brads 4.5mm Paper Craft Fasteners For Cardmaking Scrapbooking DIY. Material: Iron. 200 x Mini Brad. We'd like to settle any problem in a friendly manner. Mini brads make it easy to get attached,No tool required. 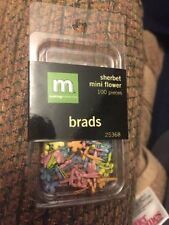 200 Pieces Brads. - Widely used in the scrapbook, greeting cards, cards, photo albums, yearbook, flower accessories, toys, accessories and paper products and other DIY craft. These long metal cotter pins by Tim Holtz are different from usual brads because they have a longer pin, so thicker objects and Grungeboard can be fastened. Each package contains 99 cotter pins with a long pin, 33 of each colour - nickel, brass and copper. Mini brads make it easy to get attached, no tool required. 100 Pieces Brads. - Widely used in the scrapbook, greeting cards, cards, photo albums, yearbook, flower accessories, toys, accessories and paper products and other DIY craft. Special designed mini brads with round head and split pins. - Practical and useful tools, great for scrapbooking, cardmaking, DIY crafts, files, card fixation, decoration, etc. - Material: Iron. Special designed mini brads with split pins. - Color:Mixed color. 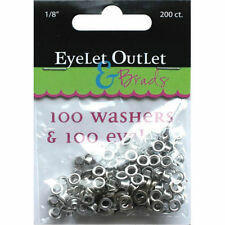 - Great for various DIY, such as files, card fixation, decoration, etc. Special designed mini brads with pearl head and split pins. - Great for various DIY, such as files, card fixation, decoration, etc. - Practical and useful tools. MINI BRADS: Includes a set of 100 iron Mini Brads. They are designed with a rust-proof round head and provide an economical alternative to solid brass. - Material: Iron. - Color: Bronze. Sincerely hope that you can understand! Special designed mini brads with round rhinestone head and split pins. - Material: Iron. - Practical and useful tools, great for scrapbooking, cardmaking, DIY crafts, files, card fixation, decoration, etc. Type: Mini Brads. Color:As picture shows(Send Randomly). Material: Iron. We will do our best to solve your problem. Size: 4.5 8mm. Type: Mini Brads. Color:As picture shows(Send Randomly). We will do our best to solve your problem. Material: Iron. Color : Mixed. 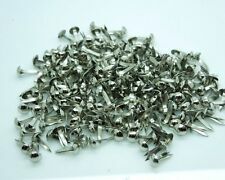 Material : Alloy(Lead and nickel free). 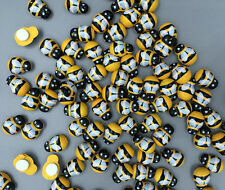 Quantity: 500 PCs. Condition : 100% New. Check out this item at ". Lush Collection from My Mind's Eye. Special designed mini brads with pearl head and split pins. ( other accessories are not included ). 【Tissue Box】. 【Door Knob & Handle】. 【Hanging Bag】. - Great for various DIY, such as files, card fixation, decoration, etc. Zinc-Alloy Brads Bronze Antique Finish Round Pattern Shape Pack 10 Measurements: 12mm. Special designed mini brads with star head and split pins. - Practical and useful tools, great for scrapbooking, cardmaking, DIY crafts, files, card fixation, decoration, etc. - Material: Iron. Practical and useful tools, great for scrapbooking, cardmaking, DIY crafts, files, card fixation, decoration, etc. - Special designed mini brads with heart head and split pins. 100 x brads. 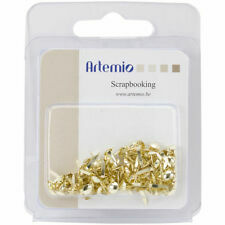 - Practical and useful tools, great for scrapbooking, cardmaking, DIY crafts, files, card fixation, decoration, etc. The Brads are widely used in the scrapbooking, greeting cards, cards, photo albums, yearbook, flower accessories, toys, accessories and paper products and other accessories DIY crafts jewelry accessories. Special designed mini brads with round rhinestone head and split pins. - Material: Iron. Special designed mini brads with starfish shape head and split pins. - Practical and useful tools, great for scrapbooking, cardmaking, DIY crafts, files, card fixation, decoration, etc. - It is also great for kids crafts and educational toys for children. Special designed mini brads with pearl head and split pins. - Material: Iron. - Great for various DIY, such as files, card fixation, decoration, etc. Practical and useful ,Special designed mini brads with split pins. - Color:Mixed color. - Great for various DIY, such as files, card fixation, decoration, etc. 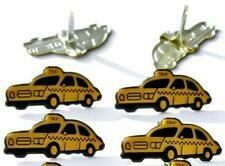 - Size Approx : 4.5 x 8.8 mm & 4.5 x 8 mm. Brad Colors: Mixed color (antique brass & silver). Material: Iron. Quantity: 200pcs. By Dovecraft. Kiss & Makeup.